Shavua tov – a good week to you! Join us this coming Shabbat morning for services led by Rabbi Rachel. And here’s the URJ’s compilation of commentaries on this week’s Torah portion: Vayekhel at the URJ. Save the date: second-night community seder on April 23! If you already know that you can join us, please RSVP now so that we can get an early head count and an early sense of how many people to prepare for. Thank you! Shavua tov! Looking forward to a very special Shabbat. Shavua tov – a good week to you! The coming Shabbat is going to be special in several ways. Rabbi David Evan Markus, my ALEPH co-chair, will be co-leading Shabbat services with me over the February 27 weekend. Those of y’all who were with us at the end of August last time he visited may remember the beauty and sweetness he brings to the bimah. Expect music, harmony, teachings, and an extra helping of joy. Please join us for Friday night services at 7:30pm on Friday February 26, and Saturday morning services at 9:30am on Saturday February 27. On Friday night we will begin with a potluck Shabbat dinner at 6:30pm — we are still seeking a host who can organize cleanup and lock the building at the end of the evening, so if that’s you, please let me know! This week we’re reading parashat Ki Tisa. And here’s the URJ’s compilation of commentaries on this week’s Torah portion: Ki Tisa at the URJ. Even once Shabbat draws to its close, there will be other exciting happenings in our community next weekend. CBI is joining with Rimon and Temple Anshe Amunim to present a visit to the Berkshires fromRabbi Jill Hammer, co-author of The Hebrew Priestess, a groundbreaking book about women’s spiritual leadership from antiquity to today. Rabbi Jill will speak at 7pm on Saturday February 27 at Temple Anshe Amunim, 26 Broad Street in Pittsfield. She’ll read from the book, talk about how it came to be, answer questions, and sign copies of the book. Don’t miss this! Local resident (and nationally known singer / songwriter) Bernice Lewis will present a workshop on “How to Write a Jewish Love Song,” co-presented by Jewish Federation of the Berkshires. 11 a.m. to 2 p.m. Sunday February 28, $10.00, includes a kosher style buffet lunch. Bring your instrument or just your voice. Bring a smart cell phone to record your song, and a notebook and writing tool! Bring your sweetie! RSVP’s requested by February 24to office@cbiweb.org or by calling (413) 822-5267. We hope you’ll join us for one or all of these special events! 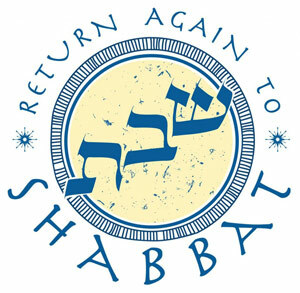 Please join us for Shabbat morning services this coming Saturday morning at 9:30am led by Rabbi Lori Shaller. And here’s the URJ’s compilation of commentaries on this week’s Torah portion: Tetzaveh. Please join us for Shabbat morning services this coming Saturday morning at 9:30am led by Rabbi Pam Wax. And here’s the URJ’s compilation of commentaries on this week’s Torah portion: T’rumah.